Creative. Artistic. Cosmic. There are many words to describe Reggie Watts, but there may be one you don't know - elusive. Reggie doesn't always spend his entire time with the band during the taping of The Late Late Show. Sometimes he makes his way into the audience or into the background. 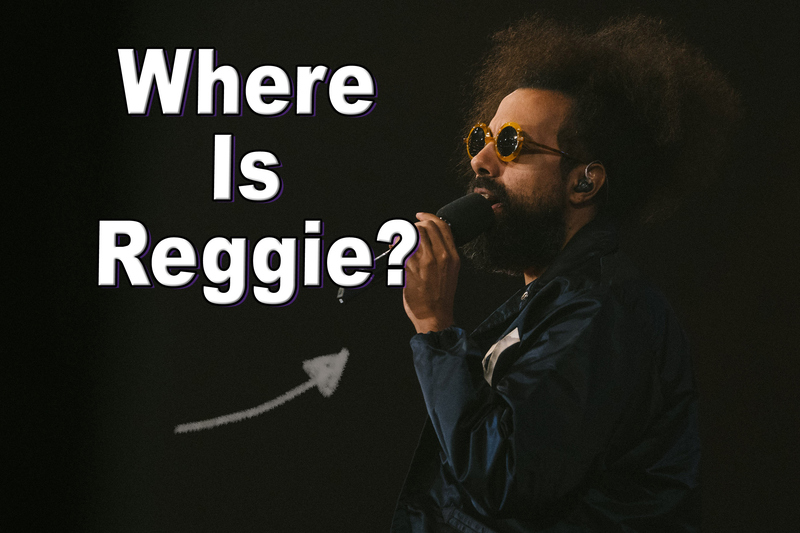 In the following photo gallery, see if you can find all the Reggies in this first-ever, exclusive, "Where's Reggie Watts?"